At the beginning of the 20th century artists felt the need to unite to be able reach some goals which they could not achieve individually. Thus united, fifty of these at the San Fernando School of Fine Arts in Madrid founded the Association of Painters and Sculptors. Its main goals were to hold some collective contests basically aimed at promoting a wider acquaintance of young promising artists, at organizing other competitions, cultural events and so on, but, most importantly, to create and foster a spirit of comradeship and professionalism amongst the member artists. On the 15th of April, 1910, the Act of Constitution and the corresponding Statutes were signed by their promoters, Eduardo Chicharro, Miguel Blay and Cecilio Pla. On the 24th of the same month and year, the Constitutive General Meeting took place. Besides the above mentioned founders, its Act was signed by other prestigious artists such as Joaquín Sorolla, Doménech, the Villegas, Francisco Maura, Ricardo Baroja, Aniceto Marinas, Manuel Benedito, Fernando Álvarez de Sotomayor, Pinazo, José Ma. López Merquita, José Llasera, Marceliano Santamaría, José Moreno Carbonero, Antonio Muñoz Degrain, Benlliure, Francisco Pradilla, Ferrán, José Capuz, Vera, Martínez, Cubells, the Zubiaurres, Mateo Inurria, Francisco Esteve Botey, Anselmo Miguel Nieto, Bermejo, José Nogué, Julio Romero de Torres, Garnelo, Luis Bea, Espina, Francisco Alcántara, Simonet, Lupiáñez, Viniegra, Moreira, Ariz, Pulido, Coullaut Valera, Morena, Llaneses, Ramón Zaragoza, Martínez Abades, López Ayala, Rodríguez Acosta, Poggio, lhardy, Comas, Sánchez Gerona, Anasagasti, Néstor, Roberto Domingo, Ricardo Marín, Martínez Vázquez … and many others who were and still are leading authorities in Spain and who gave prestige and splendor to the just new born Association due to their reputation. Several exhibitions and cultural activities, which had a true impact and merited official recognition by the powers-that-be in the world of Art of the time, were organised by the artists themselves during the first years of its existence. Thus, a Royal Decree of the 10th of June, 1912, which was published in the official Madrid Gazette (Gaceta de Madrid, issue number 169, page 634) of the 17th of the same, declaring the Association of Painters and Sculptors a Non-profit, Public Interest and Official Honorary Corporation institution. The Association named King Alfonso Xlll Honorary President, Queen Victoria and Princesses Isabel, Paz, Beatriz, Carlos, Fernando and Alfonso Honorary Members. They, in turn, were frequent attendants to events organized by the Association, such as charity soirées, exhibitions and the magnificent ball held at the Royal Theatre on the 17th of January, 1913. The 1st Congress of Fine Arts was also organized by the Association at the Hall of the Central University of Madrid (presently the Complutense de Madrid) from the 14th to the 21st of May, 1918, under the Trust of the King, being Honorary Presidents, Marceliano Santamaría, Mariano Benlliure, Miguel Blay, Antonio Muñoz Degrain and José Llimona. All kinds of artistic institutions and educational centres, such as The School of Graphic Arts, School of Art and Handicrafts, the Museum of National and Modern Art, Industrial Arts, Madrid Athenaeum, Architects Association, Fine Arts Society, Royal Conservatory and the Spanish Society of Friends of Art sent their representatives. The idea of organizing a grand nationwide contest where all the, already numerous, members could exhibit their production came up among them as they were encouraged by the success of previous exhibitions and other artistic events. That idea crystallized into the 1st Salón de Otoño (Autumn Hall), which took place in 1920 for the first time, and great artists of that time showed their work there. Recuerdos, a new gallery, was opened then and the painters, the Bécquer brothers, Domingo Marqués, Gessa, Lucas junior, Raimundo Madrazo, Enrique Mélida, Eduardo Rosales, Carlos Luis Rivera, Tomás Martínez, Casimiro Sainz, Martín Rico, Emilio Sala, Urgell and Velázquez hung their paintings there. The success of the 1st Salón de Otoño went well beyond the initial expectations. Notable were the number of exhibitors and visitors, the quality of the work, and the favourable reception by the public, the critics, and official authorities. As time went by, the Salones kept increasing their reputation in the artistic circles in Spain, but also abroad. These contests reached such a reputation that they became the real mirror of the art trends in Spain of the time. The King of Spain, Alfonso Xlll, paid assiduous yearly visits to it. 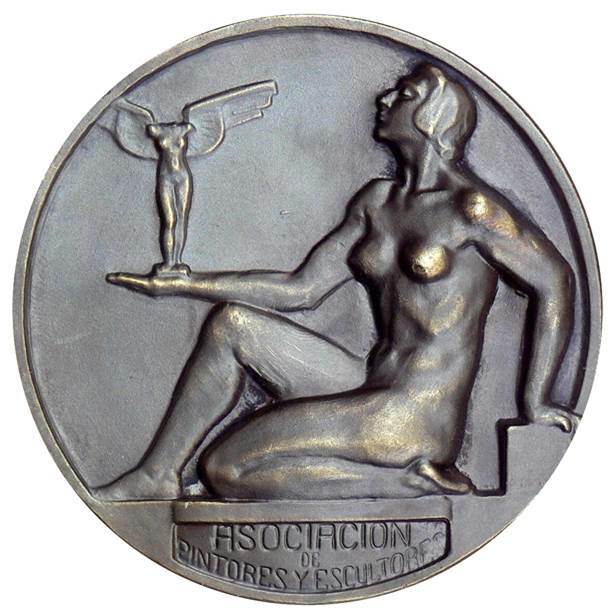 A Medal at the Salón, for those artists who were granted one, meant their definite recognition as truly professional artists, such was the prestige and importance it had attained. 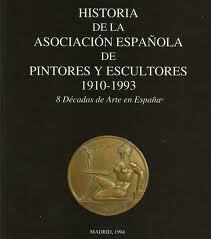 The Spanish Association of Painters and Sculptors was also involved in consultant and legal endeavours. The Government requested its contribution in the drafting of bills, curricula for Fine Arts Studies, nomination of professionals for state owned educational institutions and, above all, it was an authoritative advisor at any artistic activities not only in Spain, but also abroad. It also took part in Art Acquisition decision-making meetings or in the organizing commissions for the highly successful Spanish representation abroad. AEPA was also represented by its members in selection panels at all kinds of art contests and official awards, its presence being a seal of guarantee and a label of excellence. In 1939, just after the Civil War, Mr. Eduardo Chinarro was named President and Mr. José Prados López Secretary. They held their positions until their respective deaths in 1949, the former, and in 1972, the latter. The Association resumed its active life during those years and the traditional Salón de Otoño was able to show the new all-pervasive world tendencies. Increased high quality of the works presented, the effort of the Association and official support led it to regain its prestige abroad. Moreover, the cancellation of the traditional Fine Arts National Exhibition left the Salón de Otoño as the only great artistic exhibition in Spain. And it has continued to be so until today. Her Royal Highness the then Princess Doña Sofía accepted the Honorary Presidency of the Spanish Association of Painters and Sculptors in 1964, and together with then His Royal Highness Prince D. Juan Carlos, honoured the Association with their presence at many of our events and exhibitions. Accordingly, the Association convened in establishing the Princess Sofía Extraordinary Award within future Salón de Otoño contests. Subsequently, several other awards were added such as the Medal for Painting “Eduardo Chicharro”, Prize for Sculpture “Leonardo Martínez Bueno”, The Medal for Watercolours “José Prados López”, the Medal for Drawing ”Roberto Fernández Balbuena”, the Medal for Engraving “Espina y Capo” and the Medal for Sculpture “Mateo Inurria”. Likewise, the Association holds the yearly “San Isidro” exhibition about scenes of Madrid, which is sponsored by Madrid City Hall and takes place at about the time of the city patron saint’s festivities in the month of May. On this occasion, different prizes are given by business firms as well as the Medal “Antonio Casero”. His Majesty, the then King D. Juan Carlos l, accepted the Honorary Presidency of the Spanish Association of Painters and Sculptors in 1976.